We can support you to make a new claim for Universal Credit, from opening your account to receiving your first full payment. Contact us to find out if Universal Credit is the right benefit for you and check whether you will need our support to make this claim. New Contact Point at West Berkshire Council Market St office Weds 9.30-11.30. An advisor will be on hand to give basic information and/or signpost to other organisations. Please note this is not a confidential space. Do you need to access local care and support systems? A client had a dispute with a contractor over some work which he had carried out for her that cost nearly £3000. The client has been trying to resolve the matter with the contractor for over 6 months with no result. Our adviser contacted the contractor, explaining that he could be deemed to be in breach of contract and the possible consequences to him. He immediately arranged to redo the work. We supported a client following a split from her husband caused by his domestic violence. She was left with joint debts and had no experience of managing the household budget. 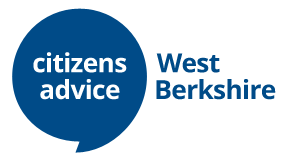 We applies for a Debt Relief Order for the client and helped her with her divorce proceedings using Court Nav – a Citizens Advice service, for online completion of divorce petitions. A client attended an outreach appointment to discuss his and his wife’s debts – they were struggling and very short of money. They are both retired and in very poor health. The team carried out numerous home visits to them and , during the client’s periods of ill health, managed to gain time from her creditors. Our Carers team also became involved and nearly tripled the couple’s income by gaining Attendance Allowance and Pension Credit with a severe Disability Premium for both of them, thereby increasing their income by nearly £450 a week. The clients were extremely grateful and felt that their wellbeing was significantly improved.